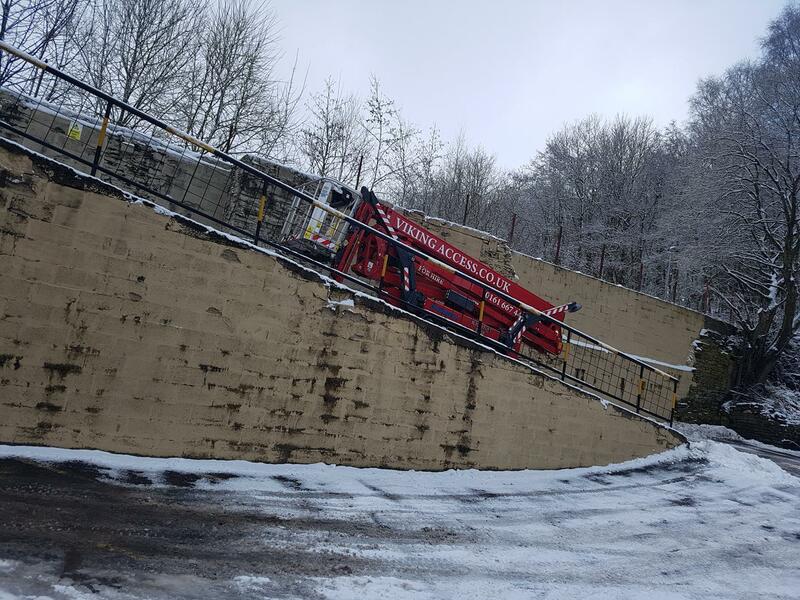 B&E Boys, based in the Rossendale valley in Lancashire, required an access platform to erect a sign, do some pointing, and inspect guttering at a former mill. The task required 14 metres of outreach at 15m height to reach a chimney – and in order to reach the job site, the machine had to climb two ramps and pass through an opening just 3m high. The access platform also had to be dual fuel, so that it could work in and around the building. Garry Buck, owner and founder of Viking Access, said, “The customer couldn’t believe we got the machine in with the minimum of fuss, and that it had plenty of reach to enable the gutter repairs and other activities.